In Cold War Berlin, a young British woman falls for a German black marketeer. 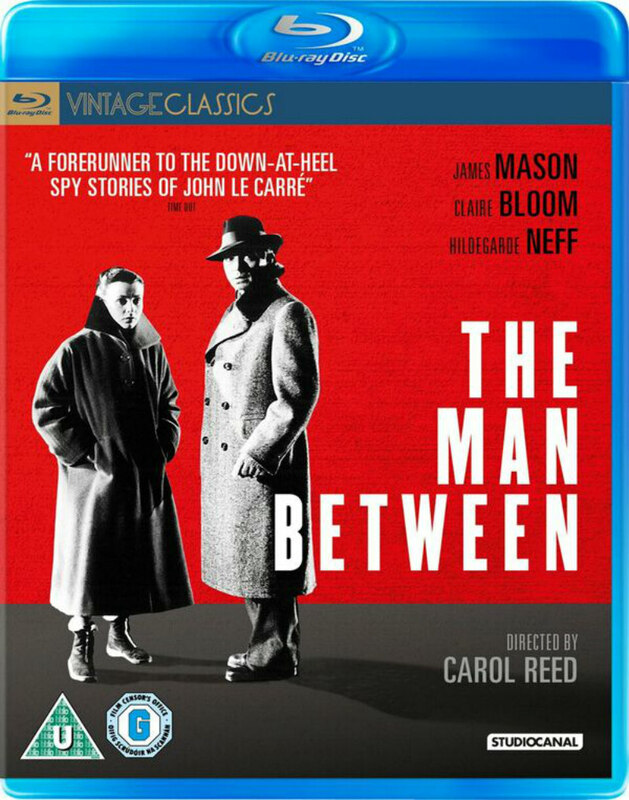 While Reed, Mason and Bloom are far from their best here, any movie boasting such a trio is worth a look, and presented in a beautiful transfer from the BFI, this overdue blu-ray of The Man Between should satisfy any of their fans. Carol Reed's 1949 Cold War thriller The Third Man is Britain's Citizen Kane, topping practically every list of the UK's greatest cinema works. Not so revered, or even remembered, is The Man Between, which saw Reed make a return to similar terrain four years later. Set in a divided post-war Berlin, The Man Between is the story of Susanne (Claire Bloom), a young and somewhat naive British woman who visits the divided German capital to see her brother, Martin (Geoffrey Toone), a British Army doctor married to local woman Bettina (Hildegard Knef). 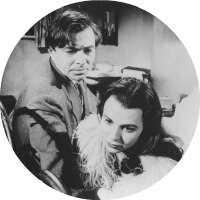 Through Bettina, Susanne is introduced to Ivo (James Mason), a handsome former lawyer now turned black marketeer, and quickly falls for his charm. Unknown to Susanne, Ivo is involved in helping the East German authorities kidnap West Germans. His latest target is Bettina, but when her kidnapping is botched, it's Susanne who finds herself on the other side of the Brandenburg Gate. Ivo sees this as his opportunity to endear himself to the West and possibly finally escape the East by returning Susanna. The two embark on an elaborate escape plan, with Ivo's cold heart warming to the young woman's affection as they progress. 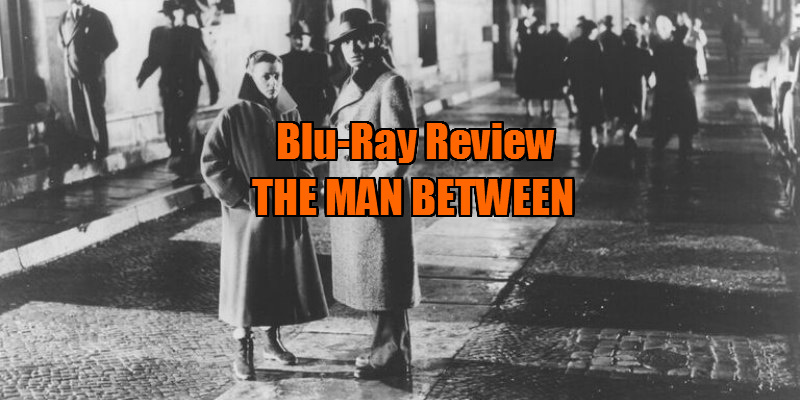 On the surface, The Man Between shares an aesthetic with the more celebrated The Third Man. Reed employs liberal Dutch tilts and exploits the unique look of the rubble strewn streets of Berlin to great effect. Much of the film is shot on location in the city, with the rest recreated in the UK's Shepperton Studios. Such is the quality of the film's production design that save for some all too obvious rear projection in the climax, it's largely impossible to see where Berlin ends and Shepperton begins. Desmond Dickinson's monochrome photography can't compare with Milton Krasner's Third Man compositions, but he makes effective use of the extreme light and shade of the wintry German landscape. Reed's film can't be faulted on any visual level, but its script is where it's found lacking. Structurally, it takes too long to get to the pivotal kidnapping. Though we spend a lot of time in the company of Susanne and Ivo as they get to know one another, there's a lack of chemistry between the two, making their later displays of affection difficult to swallow beyond both characters being inhabited by attractive stars. Most of the movie consists of blandly scripted conversations. The only memorable speech comes from Ivo late on as he confesses to his wartime role in destroying a village outside Prague, along with "everything in it." It's a chilling monologue, surprisingly frank for a time when movies were reticent to address the true horrors of WWII in such explicit fashion. The Man Between is far more effective in its silent set-pieces, the highlight being the kidnapping of Susanne, which features a creepy snow-covered car, its windscreen wipers clearing a sinister pair of 'eyes' like the the windows of the Amityville house. Carol Reed: A Gentle Eye is an informative 45 minute doc with an impressive roster of talking heads from the British film industry; a new video interview with Claire Bloom; and a 1967 BFI audio interview with James Mason. The Man Between is on blu-ray, DVD and EST January 2nd.